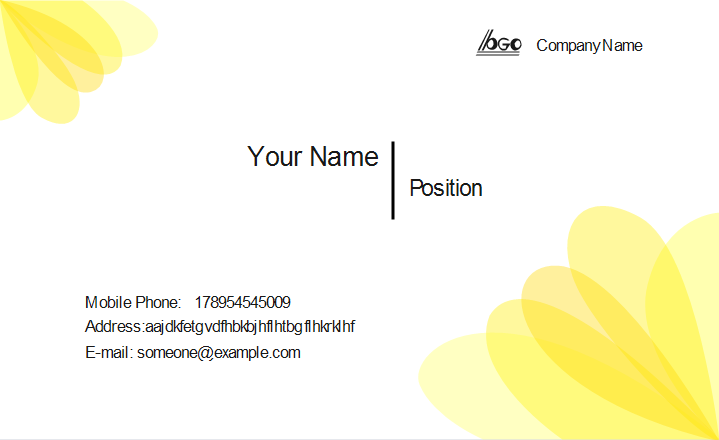 This feminine based yellow petal business card template is offered with a customizable version. It's pretty, girly and stylish, quite suitable for modern trendy women. 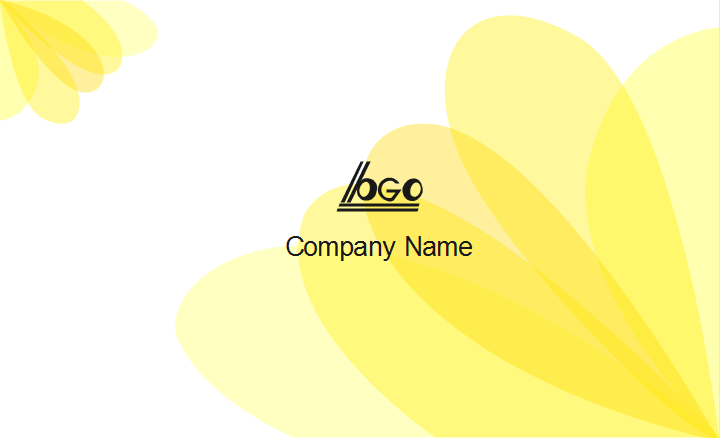 The combination of white and yellow color is really an effective attention catcher. The name is highlighted in the middle, and the company logo is on the top right corner. The back of the card has only the company name and logo. You can aslo add some slogan or company philosophy if you like.